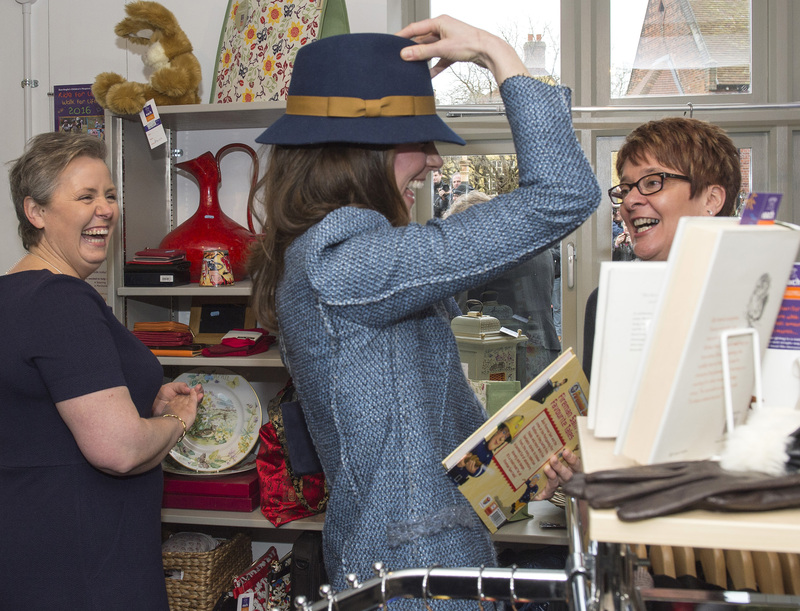 In March 2016, ​EACH invited HRH The Duchess of Cambridge to open ​their charity shop in Holt. During her tour of the shop the Duchess tried on a brand new navy Boden hat with a caramel coloured ribbon detail, whilst sharing a joke with the shop staff. To celebrate the 1st year anniversary of the shop opening, ​EACH have listed the Boden hat on eBay with all proceeds benefitting the charity. The auction will run from Thursday 25th March until 9.05pm on Sunday 2nd April. Ian Nicolson, Head of Retail said: “We have had a fantastic first year of trading in the town. The support of the Holt community has been incredible and we would like to say a big thank you to all our volunteers and customers. EACH’s work is to care for children and young people with life-threatening conditions across East Anglia and supports their families. For both families accessing care and those who have been bereaved, we are a lifeline at an unimaginably difficult time. You can view the hat listing here.